In the world of health and wellness, much attention is given to our physical health, perhaps because it’s a more tangible topic or because the Bible tells us that our bodies are temples of the Holy Spirit. This is a disadvantage, however, because it often leaves our mental health on the back burner and without our mental health we may not be fully capable of caring for the physical body we have been given. Mental health encompasses our emotional, psychological, and social well-being. It impacts how we think, feel, and act. To some extent, our mental health determines how we handle stress, relate to others, and make healthy choices. 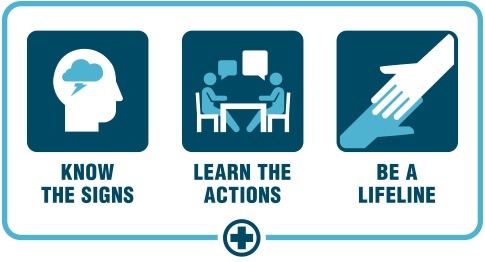 While it may be difficult to discuss, mental health matters in every stage of life. According to the Centers for Disease Control and Prevention (CDC), approximately 50% of all Americans will be diagnosed with a mental illness or disorder during their lifetime. Mental illnesses are conditions or disorders that impact thinking, emotions, mood, or behavior. Mental illnesses, including depression and anxiety, are the third most common cause of hospitalizations for Americans 18-44 year-old. These statistics may seem overwhelming, but it’s not all bad news. As we approach Mental Illness Awareness Week (Oct. 7-13) and World Mental Health Day (Oct. 10), we want to provide information, encouragement, and hope for those dealing with mental illness. The reality is that we can do many things at home to prevent and manage mental illnesses or disorders. No one should be ashamed of having a mental illness or disorder. Like having heart disease or diabetes, mental illness is something to be taken very seriously and shared with your healthcare provider. It should result in lifestyle steps to reduce your risk and optimize your treatment plan. Talking with your doctor about the best treatment plan for you or your family members is crucial to successful outcomes. Just like when managing a physical health condition, there are practical and tangible steps that can be taken with one’s mental health to produce positive changes. One such tangible step is to make healthier lifestyle choices. Mental Health or Physical Health: which is more important? Have you ever felt “butterflies” in your stomach when you were feeling nervous? This feeling is likely coming from communication between the stomach and the brain. The digestive system and brain are so intertwined that researchers now believe there is a brain-gut connection. They will often refer to the gut as the second brain. While the second brain isn’t capable of thought, it does communicate with your brain. Doctors have long suspected that mood and mental health impact digestion, especially in those struggling with irritable bowel syndrome. Recently, however, researchers at Johns Hopkins have found that gastrointestinal irritation may actually trigger mood changes in the brain. Growing evidence supports the idea that our physical well-being impacts our mental well-being and vice versa. So while we may think our mental and physical health are two separate topics to discuss and treat, they are in fact very much related and intertwined. Improved mental health has been associated with reduced risk for illness. On that same token, individuals consuming a health-promoting diet rich in vegetables and fruits report fewer negative emotions. On the other hand, consumption of fast-food and commercial baked goods have been associated with increased instances of depression. These results makes sense when we consider how our nervous system (including the brain) relies on nutrients from our diet to function properly, such as vitamin D and omega-3 fatty acids. Gut bacteria, often referred to as the microbiome, may also play a role in mental health. Maintaining a healthy microbiome may reduce your risk for anxiety, depression and cognitive dysfunction. Probiotics are often cited as the key to a healthy microbiome, however, our daily diet has even more potential to create an environment for healthy bacteria to flourish. Focus on consuming mostly unprocessed, whole plant foods to set your gut up for success. Exercise releases endorphins that make us feel good. In both men and women, increased physical activity has been associated with decreased depression and improved emotional health. Inversely, sedentary behavior has been linked to adverse mental health, increasing the risk for depression. Not only is regular exercise a good preventative measure, it has also been shown to be as effective as anti-depressant medications for depression. While you shouldn’t just stop taking anti-depressant medications, you may want to talk to your healthcare provider about adding exercise as part of your overall mental health management prescription. Gradually apply one or two of these tips to your life until they become a habit. As you become comfortable with these new habits, apply more of these tips and enjoy the mental and physical health benefits. God gave us a great gift when He created the human brain. Its intricate design and purposeful function allow us to feel a wide range of powerful emotions. However, we may not always feel in control of these thoughts and emotions. This may be because our mental health is impacted by a variety of factors including our environment, socioeconomic status, genetics, stress, traumatic events, and the list goes on. Unfortunately, many of these factors are not within our control, especially when it comes to an individual’s genetics or unforeseen trauma. But the powerful brain God gave us also gives us the opportunity to decide what we eat, when and how to be physically active, when to spend time with the Lord, as well as how we respond to stress or our environment. Finding peace with handling these factors within and outside of our control is an excellent place to begin managing or reducing the risk of mental illnesses. For some, these steps may significantly reduce symptoms, but for others, medical intervention may be necessary. Talk to your healthcare provider or a mental health professional about your options to improve your mental health. Consider taking one of these brief screenings to help assess your mental health and connect with resources. 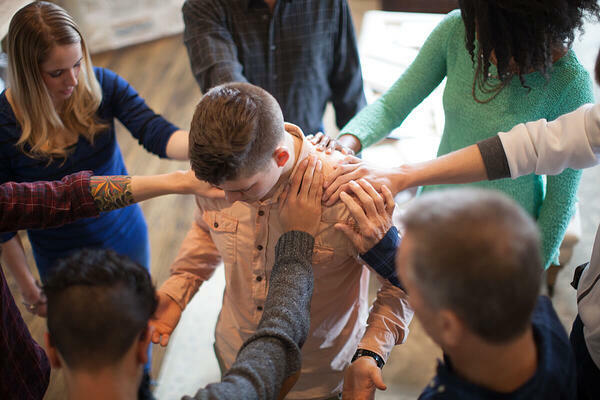 Connect with a counselor in your area through Focus on the Family’s Christian Counselors Network or the American Association of Christian Counselors. Seeking help may not be easy but it is also an opportunity to improve your ability to fulfill God’s calling for your life. At Christian Care Ministry, we believe all of us need to be fit spiritually, physically, mentally, socially, and financially if we are to maximize our impact on the kingdom. While behavioral/mental health care is not currently eligible for sharing, we hope members will consider setting aside some of the savings offered by Medi-Share in case they ever have such a need. If you or a family member are struggling with such a need, Medi-Share members are able to post a prayer request in the mobile app. Those of us here at CCM and your fellow Medi-Share members will lift up in prayer all of your health needs, both physical and mental. Saeed SA, Antonacci DJ, Bloch RM. Exercise, yoga, and meditation for depressive and anxiety disorders. Am Fam Physician 2010, 81:981-986. Uebelacker LA, Epstein-Lubow G, Gaudiano BA, et al. Hatha yoga for depression: critical review of the evidence for efficacy, plausible mechanisms of action, and directions for future research. J Psychiatr Pract 2010, 16:22-33.